He started out in radio, and starred in a plethora of films including the often mocked Bedtime for Bonzo before becoming the Governor of California in 1967. 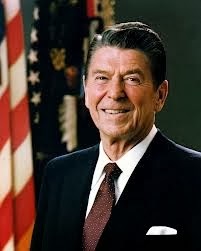 His unsuccessful bid for President in 1976 set the stage for a triumphant run for POTUS in 1980. He served two terms and was one of the most popular Presidents in United States history. He began a budding career in bodybuilding before acting, but became “The Governator” when he won a (total) recall election in 2003 and was subsequently re-elected for a full-term as Governor of the state of California in 2006. The legendary star of spaghetti westerns and consummate movie badass, became mayor of Carmel-by-the-Sea, California in 1986 and was even appointed to the California State Park and Recreation Commission by Governor Davis in 2001. He made a name for himself as one of the most feared professional wrestlers of all time before being elected Mayor of Brooklyn Park, Minnesota in 1991 and then going on to narrowly winning the state’s Governorship in 1998. He served one term. He became known to most people as District Attorney Arthur Branch on the long running Law & Order TV series though his career in politics goes back to the 1970s. In 1994 he was elected to serve out the last two years of Al Gore’s U.S. Senate term and served in office until 2003. He failed in his bid to win the Republican Presidential nomination in 2008 but is still an active presence in GOP political circles. He was known as half of the ‘60s singing duo Sonny & Cher retired his bell bottoms to became mayor of Palm Springs in 1988. He then went on to serve as a member of the U.S. House of Representatives from California’s 44th District. He made his name as a staff writer and performer on Saturday Night Live. Always an outspoken liberal, Franken ran for Minnesota State Senator and was elected in 2009. While not an elected official, the former child-star was appointed Representative to the 24th United Nations General Assembly by President Nixon and also became the U.S. Ambassador to Ghana and Czechoslovakia. He is best known as the car mechanic Cooter from The Dukes of Hazzard, however, in real life he served two terms as Congressman for Georgia’s 44th District. Also known as “Gopher,” of the nine-season sitcom The Love Boat, served as a member of the U.S. House of Representatives from Iowa.